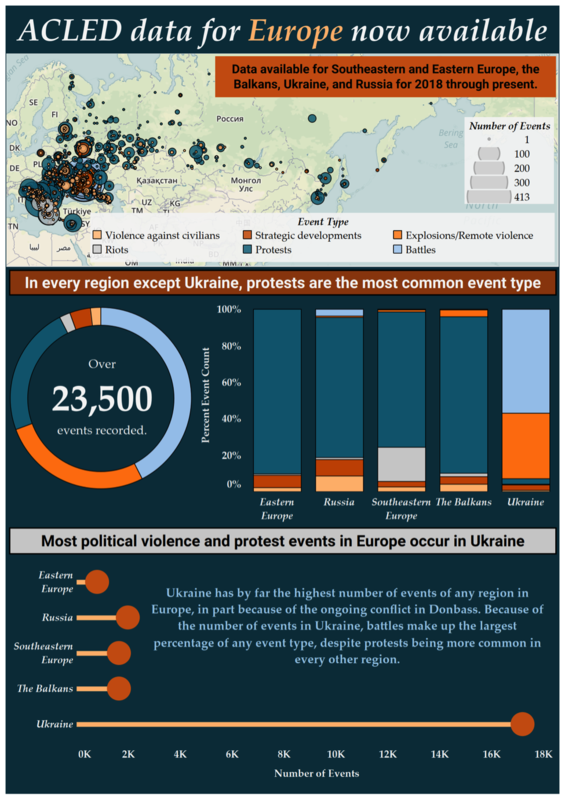 2 April 2019: Data for more than 23,500 political violence and protest events across Eastern Europe are now available from the Armed Conflict Location & Event Data Project (ACLED). 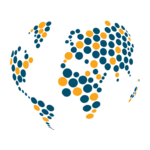 Spanning 15 countries, the dataset encompasses Eastern and Southeastern Europe, the Balkans, Ukraine, and Russia. Coverage extends from January 2018 to the present, with weekly real-time data releases. Conflict in Eastern Europe is concentrated in Ukraine’s Donbass region, where ACLED has recorded over 1,000 battles or incidents of explosions/remote violence1 every month since the beginning of last year, causing more than 1,000 total reported fatalities. Though the March 2018 ceasefire agreement was followed by a 50% drop in violence, the respite was temporary: conflict spiked again in the spring, and May was the most lethal month of the entire year according to ACLED data. Ahead of the March 2019 election, protest activity rose slightly after a general decline in 2018, with a particular uptick in violent demonstrations led by right-wing nationalist groups. Across Russia and the remainder of the region, demonstrations against the government, as well as those calling for reforms to address poor socio-economic conditions and national identity issues, dominate the disorder landscape. 1ACLED classifies “Explosions/Remote violence” events as one-sided violent events including bombs, grenades, improvised explosive devices (IEDs), artillery fire or shelling, missile attacks, heavy machine gun fire, air or drone strikes, chemical weapons, and suicide bombings. If such events are reported in the context of an ongoing battle, they are instead coded as part of a “Battle” event. Find more information in ACLED’s Codebook. 2Such as battles, explosions/remote violence events like airstrikes, and violence against civilians. 3Fatality numbers are frequently the most biased and poorly reported component of conflict data. While ACLED codes the most conservative reports of fatality counts to minimize over-counting, this does not account for biases that exist around fatality counts at-large. Find more information about ACLED’s methodology for coding fatalities here.